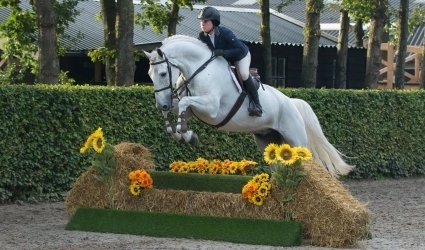 Horses for sale at Stal Wilten, located in the Netherlands, stand above the rest. At Stal Wilten, success isn’t an option; it’s a necessity and we strive for perfection and nothing less. We are a premier facility that specializes in the production and development of quality Hunters, Jumpers and Equitation Horses and Ponies. 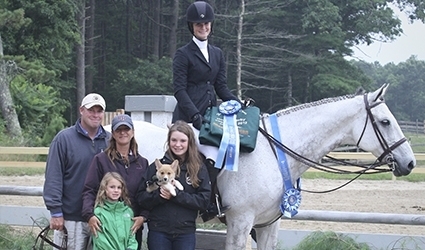 We at Stal Wilten are incredibly proud to say that our horses are proven Champions, both past and present. 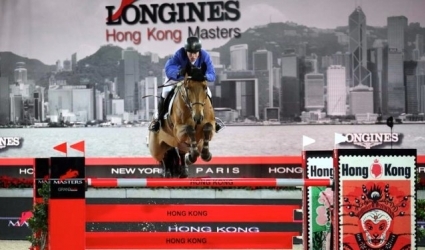 In all arenas and all jobs, from short stirrup to the International Grand Prix level, our horses are thriving globally. We believe our Champions speak for themselves. Contact us today to find your next Champion. 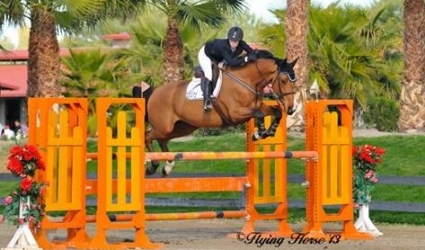 Take a look at our Hunter Jumper horses for sale or Contact Us directly. 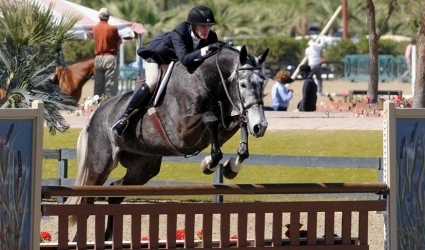 Stal Wilten specializes in the selection and sales of top quality sport horses. Here you will find an overview of our horses. I am very pleased to add a horse as talented as Seoul to my team. 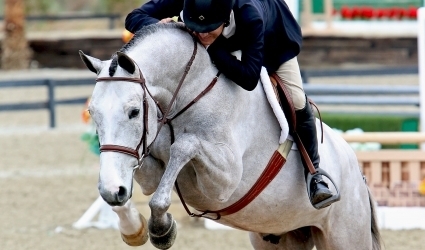 He has all the qualities it takes to be a top performance horse and knows when it is time to get the job done. He is a valuable addition to my stable. Thank you Stal Wilten for discovering this horse. 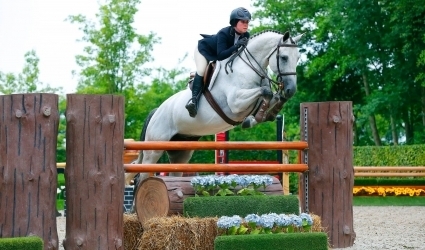 We purchased the horse Gatsby from Stal Wilten and couldn't be happier. Gatsby is exactly the horse that Stal Wilten represented to us. Exactly! They made sure he traveled to us well and have continued contact to make sure we are happy with our horse. Gatsby is a top quality horse!! 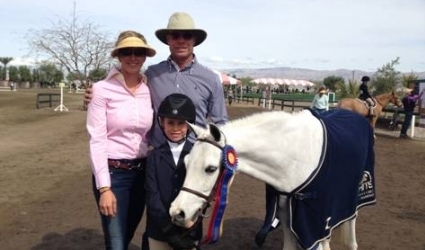 Stal Wilten is a class act and would purchase a horse from them in a heartbeat! Thank you Stal Wilten for discovering a superstar like User ID. Not only does this horse show extreme focus and quality on course, but his willingness to please is undeniable. The scope and technique he exhibits throughout each course has taken us to many victories in our time together so far. I look forward to strengthening my partnership in future competitions with User ID as well as continuing my relationship with Roy and the rest of Stal Wilten given their keen eye for talented horses. 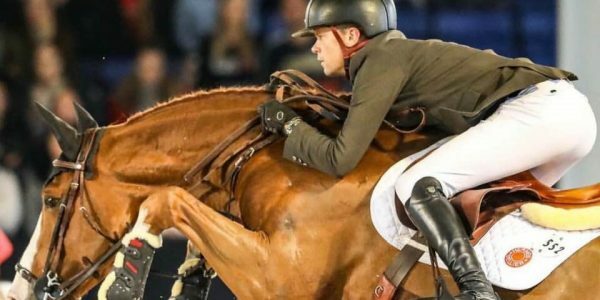 It can be a daunting prospect to buy a horse off a video a continent away, but what put me at ease was the confidence I had in dealing with Stal Wilten. Their professionalism turned out to match their exceptional reputation. When I saw the high quality videos of Mosaic I knew I had to have him, and Roy Wilten made everything for the purchase streamlined and easy, from addressing all my questions, to handling the full vetting process, financial transactions, and shipping coordination. When Mosaic arrived a few days later he was in “show ring” condition and was exactly what Stal Wilten represented. Roy told me I was getting “The Real Deal” and I did! Mosaic is gorgeous, smart, sound, and talented with a demeanor that shows he was very well treated. The follow-up from Roy has been personal and touching. I am very happy and impressed with my entire experience through Stal Wilten and highly recommend them. Thank you Roy and Stal Wilten! When I saw Hercules for the first time nearly three years ago in the Netherlands, I never imagined it could turn out to be such a success story. The first year, when he was four, we quietly built him up. The second year we sporadically participated with him in competitions because we were already convinced the stallion had incredible quality. 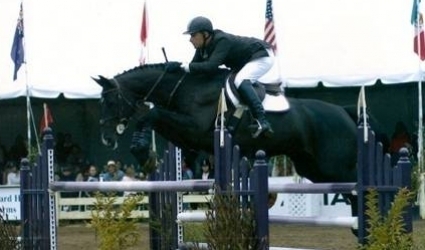 At this time, he only had one rail down per show season, something I had never seen in a young horse. 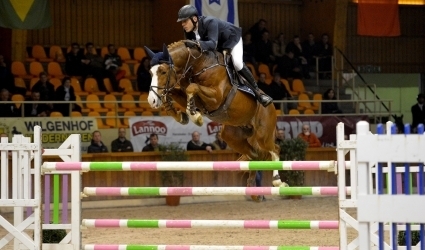 When he turned six, we decided to enter the Stallion Competition against the best horses in Belgium. This was really throwing him to the lions, but we were confident in his abilities. We were viewed with suspicion, but Hercules did not let us down, he rather confirmed his unprecedented quality, time and time again. Hercules convinced everyone with his technique, power, and super temperament. 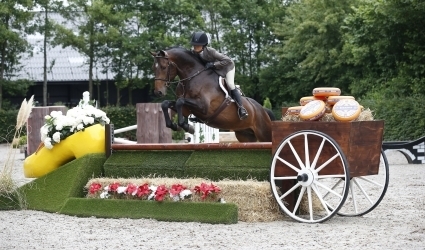 He was also named the best six -year-old stallion of the four Belgian studbooks (BWP, SBS, Z and AES). 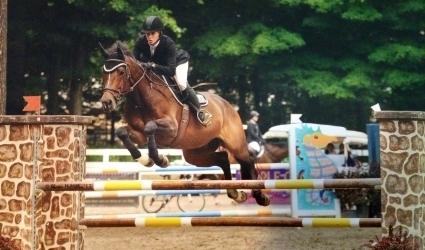 We then received a wildcard for the World Championships, where he was also double clear 3 days in a row, jumping with spectacular style, leg technique straight out of the book, and an incredibly good attitude. There were many prospective buyers in line. I do not know what the future will bring us. What I do know is that Hercules is that "once in a lifetime horse" we all dream of, but that you rarely encounter . 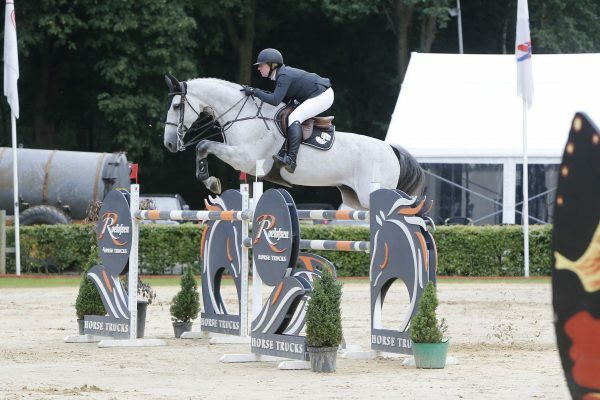 A big thank you to Stal Wilten for finding such an amazing horse as Hercules Immofluisteraar. And Roy - if you ever find a second Hercules, call me, I always have an empty stall for him! In December of 2013 my husband Fred Schauder and daughter Emma traveled to Holland to look at few horses at Stal Wilten. 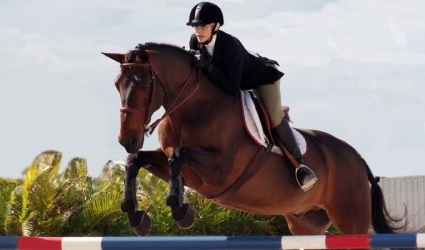 We were looking for a horse for an adult woman to do the hunters and equitation. Roy Wilten made the trip for them memorable and productive. He arranged their travel plans so it made it easy for them to get to the farm. The farm was professionally run and quite organized. Once there he showed them a nice group of horses and Emma had a chance to sit on them over two days. They picked a chestnut gelding "In The Loop" out of the group based on his forgiving temperament and wonderful jumping ability. Roy then arranged all flight plans for the horse back to the United States and he arrived just in time to be a Christmas present. Roy also kindly followed up with a book featuring her new horse and other horses that he has shown over the years. She was delighted with the gift and her interactions with Roy. Currently our adult rider is getting along great with "In The Loop". 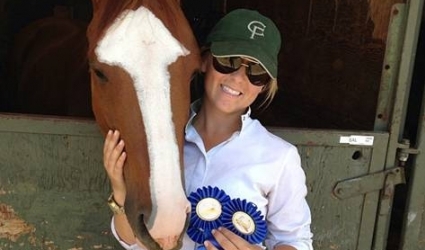 Her lessons couldn't be going better and the horse was exactly what Roy had presented to us. She is overjoyed with her choice and is looking forward to showing him starting in the Spring. 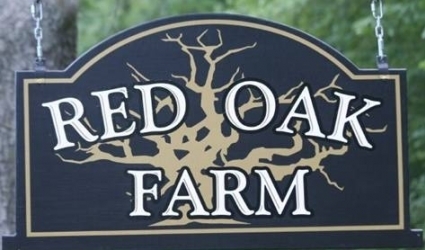 Dealing with Roy and his barn Stal Wilten was a positive experience for our business. We would definitely go back again to find another horse in the future! " 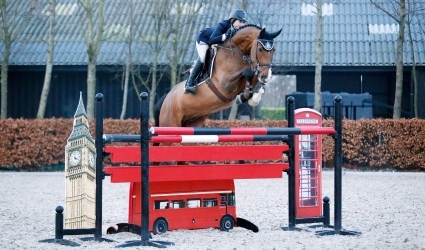 I bought my horse Reunited - "Squishy" (Breezer) from Stal Wilten last December and I LOVE him! For my first european trip Stal Wilten made the whole experience from the travels and to the horse hunt unforgettable! Roy Wilten, representative of Stal Wilten, organized the hotel, set up the itinerary and orchestrated multiple barn destinations. Once I decided to purchase Reunited, Roy organized the vetting and the import process. 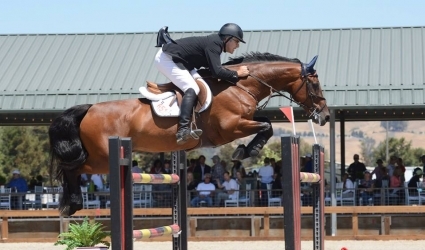 I am so thankful for Stal Wilten and its team's ability to find the perfect jumper for me. Thank you to Stal Wilten for making our horse buying experience extremely unique, easy and special. 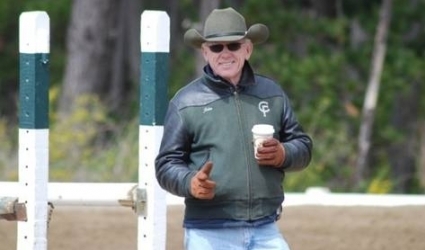 Roy is professional and committed to finding the best horse no matter how hard the search! The quality of horses is only exceeded by the attention to detail and commitment they put forth in making the buying experience one of a kind! Can't wait for the next shopping trip! I first met Roy Wilten in the spring of 2012. Upon finding his website, I contacted him regarding an upcoming horse shopping trip we were taking to Germany/Holland. My colleague and I were taking 5 clients on a 10 day horse shopping trip looking to purchase 8-12 horses. The horses we were looking for were hunters, jumpers and equitation horses. After my initial contact with Roy, he was extremely helpful, professional and wasted no time in getting me dozens of pictures/videos of horses that we would be able to try while there. As we already had a great broker that we used in Germany many times, most of our time was spent there, but with the quality of horses that Roy had emailed me, we made a side trip over to Holland for a day. A day was all we needed. There were a few stables that Roy drove us around to the first evening to try some great horses. The next day however, he had all the other horses scheduled to haul into his property. It was the most pleasant and efficient horse shopping I have ever been a part of. His facility is immaculate and includes everything one might need to try horses, with a great indoor and beautiful outdoor jumping arenas. We had brought our veterinarian with us and he was able to set up on property to flex/x-ray the horses we were interested in. Roy did a great job juggling all the ladies with us as you can imagine having 5 ladies all looking at the same horses can be a little bit hairy at times! On that trip we purchased 2 horses and 2 ponies from Roy and have since purchased another horse from him off of a video. I continue to be impressed with the professionalism he shows and the quality of horses I continue to receive videos of. I only wish that we had more clients in need of horses sometimes! The horses we have purchased have been wonderful and I look forward to doing business in the future with him. Roy, I'd like to thank you for selling me such a nice horse. He is exactly what you said he'd be and arrived here in excellent condition. He is the quality every American Hunter rider searches for. Thanks again and I look forward to doing business with you in the future. 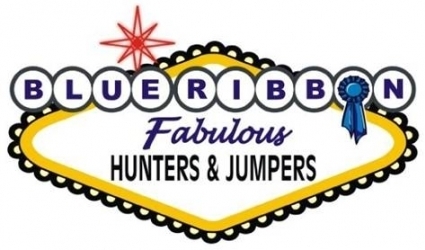 I have known The Wilten Family for many years now and have bought many successful hunters and jumpers from them. I love that they really care about all the horses, want them all to be successful, and get the best home possible. I enjoy being a part of Stal Wilten and I will continue to do business with them in the future. Yesterday we received a lovely book of your horses including our new Cappello from you as gift. I wanted to take a moment and thank you for making the purchase of our horse Top Hat (Cappello) from you an easy, stress free experience. As you know I was pretty nervous about buying a horse for my daughter that we never even laid eyes on through someone with which we had never done business in another country! We gave you a budget that had to be all inclusive of the horse and transportation to the United States and then to our farm near Naperville, IL. You gave us a couple of choices, we selected our Cappello. Cappello left Holland, arrived in New York for quarantine and even made it home to our farm for Christmas just like you said he would and for exactly the money we agreed upon. We had a very happy 14 year old! Cappello is everything you said he would be and more! After a month of getting to know each other and getting used to us Americans, Cappello went to his first hunter show, was Champion in 2 divisions and won the NAL Childrens Hunter Classic. We couldn't be happier! Top all that off with the lovely keepsake photo book you sent us of your horses which include our new horse and well we feel pretty special to have a horse from Stal Wilten! All the best to you and your business! Hopefully, we will get to work together again. 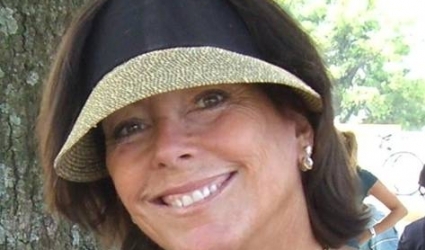 I wish I would have known about Stal Wilten two years ago when we drove thousands of miles through Germany and Belgium unsuccessfully looking for a hunter for our daughter. We ended up importing a horse our trainer showed us in a video and after unsuccessfully trying to turn him into a hunter ended up being a great jumper. 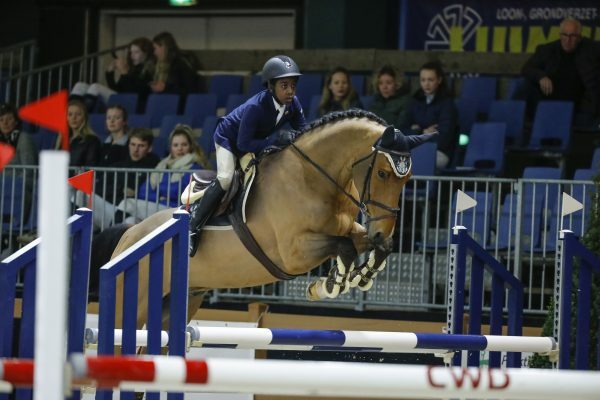 When I came across Stal Wilten online and saw the quality of horses they have I was very excited; however, I was reluctant to purchase another horse through a video. A friend of mine that handles imported horses in the West Coast assured me that they were indeed a reputable stable and that all of the horses she had handled coming from that place were very nice. Dealing with a professional like Roy Wilten made the process of getting our beautiful horse easy and completely stress-free. I am looking forward to doing business with Stal Wilten for all our future horse needs and I have highly recommended them to a lot of friends and trainers I know. There are not enough positive things to say about our experience with Stal Wilten; it’s not often that you find this level of professionalism and efficiency in such a laid back and welcoming environment. Each horse shown to us was nicer than the last, and Stal Wilten was committed to finding the best possible horse for any dollar amount. Beyond our stay in Holland, we could not be happier with the fabulous horse found for us. We look forward to our next trip! My buying experience with Roy Wilten and his great team at Stal Wilten was very successful. He presented us with many top horses in the categories we were looking and after the purchase he helped us with all the details of transportation and importation. I strongly recommend if you are searching for horses from Europe give Roy a call, he will not disappoint. Stal Wilten made looking for a horse easy, fun and enjoyable! 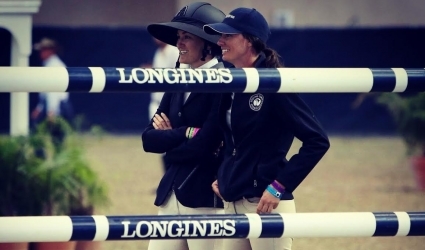 Their expertise shines through with great horses and amazing attitudes. I look forward to doing further business with them in the future. Thanks Stal Wilten for all your help! Over the past couple years I have gotten to know Roy Wilten and his family, and have had the pleasure of doing business with them. My family imported a couple of very nice prospects that have gone on to great new homes, and last summer I traveled to Holland to further my business relationship with Stal Wilten. I look forward to continuing to work with Roy, and to see the quality horses that come from his operation. Stal Wilten has amazing horses and a great set up that allows the horses to be ready to move quickly into the American show ring. They have been very easy to deal with and I am very happy with the quality of the horses I have bought there. Roy and his family have a great eye for horses and I know if I end up at his place I'll come back with a winner! 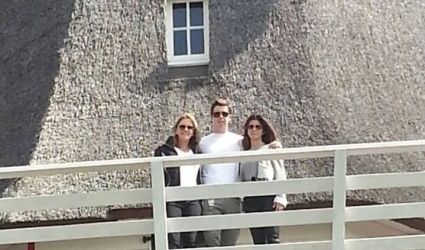 I have been fortunate enough to spend a great deal of time with the Wiltens at Stal Wilten. I believe that not only do they have fabulous horses but they are wonderful horsemen. I believe they do a wonderful job developing the horses and preparing them for their futures. The only thing difficult about writing a testimonial for Roy Wilten is that there is not enough space to write all the many things that I want to compliment him on. First of all, let me start by saying that he has incredible integrity. We purchased a horse that from Roy that passed all vetting tests and was shipped to America. Due to some entirely unforeseen circumstances, after a year the horse was still not rideable. Even though Roy had been entirely honest in the sale and was in no way liable for the horse, he offered to send us a replacement horse for only the cost of vetting and shipping. The new horse that Roy sent is absolutely incredible and we feel much better off than we did with even the previous horse! Roy said that he wants to have 100% satisfied customers. And he also cares about every horse that he sells. He took the other horse back and is trying to rehabilitate him. So he not only cares about the people, he also cares very much about the horses. He is always checking on them and seeing how they are doing. Even Marjan emailed me to see how the new horse is doing and asked for photos! Besides all of this, he treats all of his customers like friends, as every customer does actually become his friend. There is an open invitation to go to his home in Holland anytime to visit with he and his family. 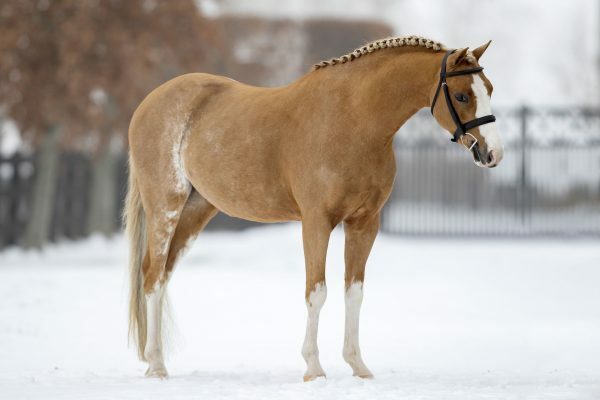 Roy has such beautiful horses for sale. And he really cares about what you want in a horse and tries to make the best match. Roy is number one for honesty. He is also caring and considerate as well. I will continue to buy horses from him long into the future and would highly recommend him as not only a source for great horses but also for peace of mind that you are dealing with someone that has great integrity and honesty. He is someone who cares about the sale long after the point of monetary transactions. My experience purchasing from Roy has been beyond excellent. I met Roy Wilten in the summer of 2012. He showed us a selection of horses and continued to do so until my partner, Mike Edrick and I found the right match for our client. We bought the horse off of the video and he has exceeded our expectations. 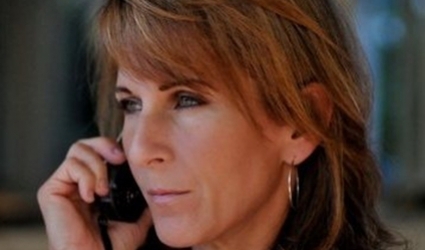 My experience with Stal Wilten has been great and I hope to do more business in the future. 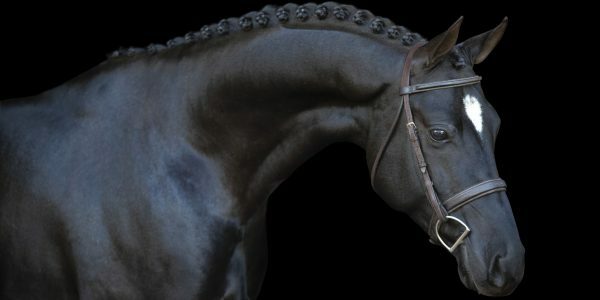 I wanted to update you and thank you for our wonderful Stallion Upgrade we now show him under the USEF name Don Carlos. He is just wonderful and everything you said he would be. 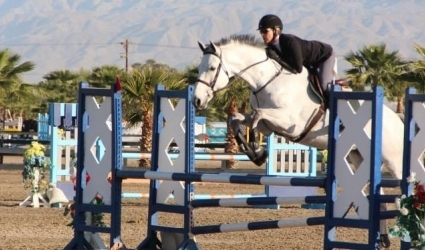 He was Champion at his first horse show ever with Us the Sunshine Series at Thermal and at THERMAL weeks 2 and 3 was moved up to the Pre-greens and lows at only 4 years old going on 5 in May and had great placing in Huge classes including 2nds and 3rds out of over 40 judged. I am now ridding and jumping him and will show him in the AA’s at the Oaks. He is also entered in the special CPHA West coast PRE-GREEN Program and he will do the pre-preen stakes at the Oaks. His temperament is so great he is so sweet yet so talented we are very lucky you found him and we found you. We want to thank you for how professional you were to deal with and what a wonderful facility you have and a great eye for what we look for here in the US. We will for sure recommend you to anyone looking to purchase and will be calling you when we are ready to look for another . Also thank you for the wonderful book it Is displayed proudly in our barn office and looked thru by everyone who comes thru. We cannot thank you enough as we are VERY happy customers. We have had a wonderful experience working with Roy Wilten. 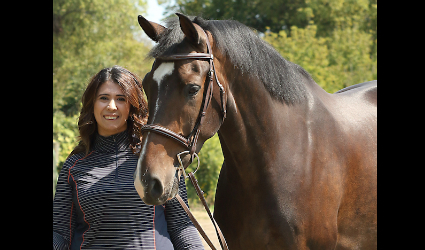 Buying a horse sight unseen from another country can be a scary prospect, but Roy took the time to answer all of our questions and help us find the perfect horse. 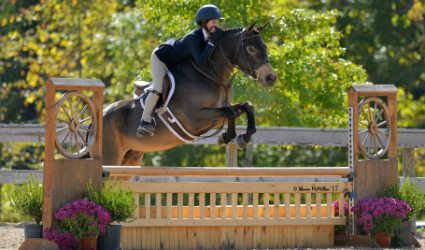 Our daughter is looking forward to showing Kenan in hunters and equitation - he is awesome! 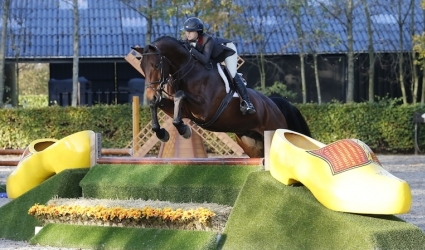 We look forward to buying our next horse from Stal Wilten! My time spent in the Netherlands with Roy Wilten and his family was one of the best and most memorable experiences of my riding career. 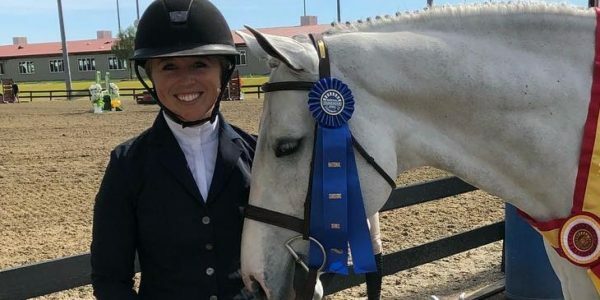 Roy's dedication to helping me find young hunter prospects with a limited budget was unparalleled and ultimately very successful, as I brought home two wonderful horses. Those horses now have fantastic new homes and I regularly receive updates on how well they are doing and how well loved they are. Thank you to Roy and his family for showing me a wonderful time, opening their home, and helping me to find great horses. I cannot wait to return for another trip in the future, one would be hard pressed to find a more honest, passionate and knowledgeable contact overseas. A++ experience! I recently purchased a horse from Roy for a client and it was the best experience. We had decided not to go try the horses, but to buy off of videos, and the whole process was very organized and easy thanks to everyone at Stal Wilten. Roy sent us great videos of top quality horses, he was available to answer any questions I had about all of the horses we were interested in, and once we decided which one was right for my client, he set up the vetting and shipping to the US. Everyone there worked tirelessly to make sure that our new horse would arrive to us healthy and happy. We have had the horse now for just over a month and he is everything Roy said he would be- kind, great to work with, and fantastic at his job. I could not be happier with our experience purchasing a horse from Stal Wilten, and I look forward to working with them again! 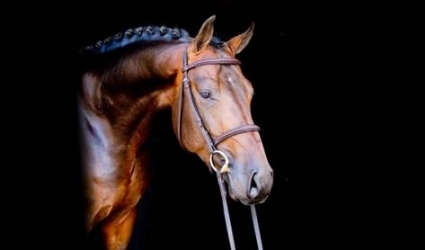 I have worked with Roy over the past few years and have been amazed by his professionalism and detailed method of representing horses for sale. Recently, I worked with Roy on the purchase of a very special horse that was bought sight unseen, which, working with anyone else, can be a bit scary. However, the horse is EXACTLY as he represented it. Everyone is very happy with this lovely horse and the positive experience that we had dealing with Roy. I look forward to working with him and all at Stal Wilten in the future. 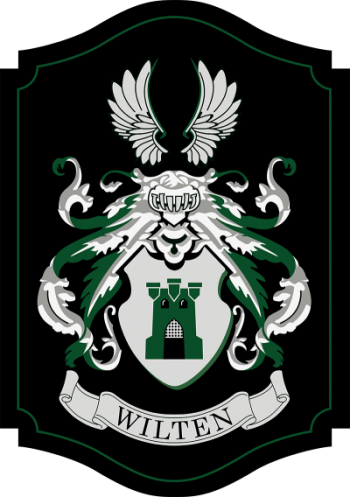 Over the past few years the Wilten Clan has become my adopted Dutch family. They are extremely welcoming and knowledgeable horsemen who always have a wonderful selection of show prospects for sale. 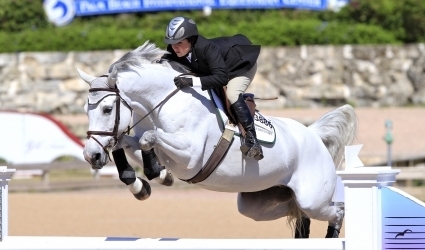 Carriage Hill has imported eight lovely animals that have been very successful at WEF in a variety of divisions. We hope to continue the tradition of visiting every year to find our next winners from Stal Wilten. The horse I bought from Roy has met all my expectations and more. I've been able to ride him miles out over mountains, through cactus and arroyos, and then take him into the ring and compete in the hunters and equitation. He has gone beyond what I thought he would be able to do. His extended trot makes me LAUGH! He is an honest boy with a ton of personality. Thank you Roy for your honesty and patience. This horse is helping me become a strong and able rider and he is helping me dramatically with my work with my off the track thoroughbred. Thank you! Working with Roy to find the perfect horse was an absolute pleasure. It was my first time importing let alone importing a horse unseen. I was so beyond confident in Roy and all the horses he had shown me. I ended up with the most spectacular horse I could have ever dreamed of. 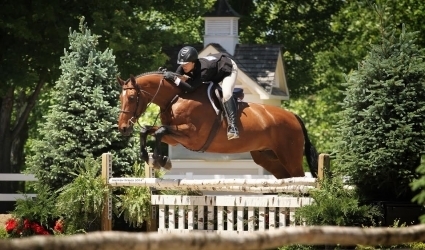 Hashtag PF has not only the best personality, the best brain and his jump is to die for but he will be an absolute showstopper in the equitation ring. From the videos Roy sent to the first time on Hashtag I can 100% say I got exactly what I had envisioned and hoped for, Roy is such an honest and talented horseman who has an eye for top quality. I will most definitely be working with Roy in the near future. Thank you Roy for all your hard work, your incredible eye for finding all your clients exactly what they are looking for and for never pressuring or pushing a sale. You made my first importing experience the most memorable and Hashtag is so much more then I could have ever asked he is the most incredible 5 year old, he is truly one of a kind, thank you for trusting his progress and him with me he is so beyond loved. We purchased Mr.Chocolat from Stal Wilten in July of 2016, for our 12 year old daughter. We are beyond pleased with our purchase of this unique large green pony. He is everything and more than he was advertised to be on the website. He is kind, gentle and all eyes turn when he walks into a ring. 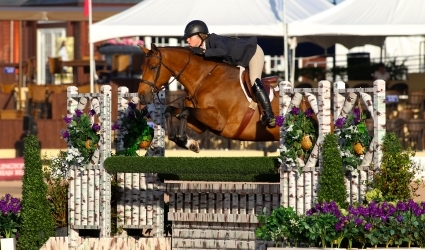 In his first year of showing at a local level he earned 2017 Year End Green Pony Champion and was ranked in the top 20 large ponies for USHJA Zone III Finals Nationally. We are frequently asked where we purchased him and are always more than willing to direct them to your website. Thank you so very much for being a chapter in my child’s book of life!